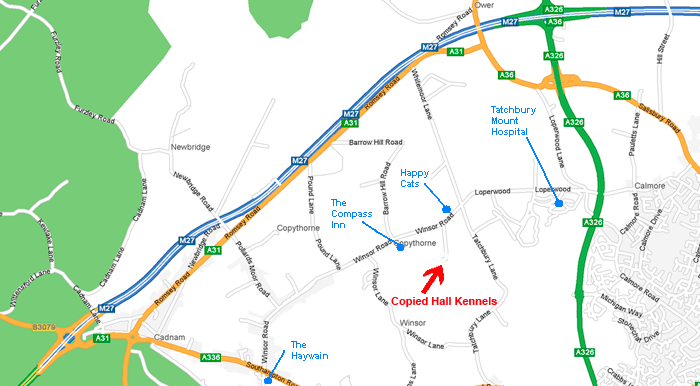 Copied Hall Kennels is situated 2miles south-west of junction 2 M27. For Sat Navs enter: SO40 2HE / Winsor Road. 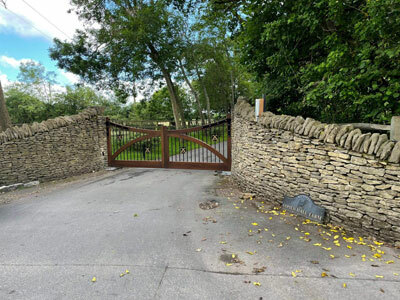 Because of its rural setting the postcode covers a relatively large area, so sat navs will not always take you to exact location.